At Pronavitas, we believe in a solar way to power homes and businesses. Our turnkey solar solutions help homeowners and businesses lower electricity bills and are contributing to a cleaner planet. Generate your own clean energy instead of paying for traditional electricity. 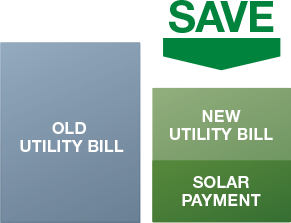 Solar power can actually cost less than you pay now with lower, predictable rates. The savings can add up to thousands! Just think of us as your solar power concierge. Our team will take care of everything from design and permits to home inspections and solar panel installation. All you have to do is watch it come together. Today, solar power systems cost less than traditional power in many markets. You don’t even need to buy a solar power system. We’ll put one on your home for free. You simply pay less for power. We have the financing to fit your needs including programs with little to no upfront cost. We can review all options and find what works best for you. Pay for energy produced on site. Fixed energy price for 30 years. Every solar power project starts with a free consultation and free quote. We’ll ask you a few easy questions about your energy use and financial goals. It’s quick and easy.